Located on the west coast of India along the Arabian Sea, Goa officially became an Indian state in 1987 after nearly five hundred years of Portuguese rule. 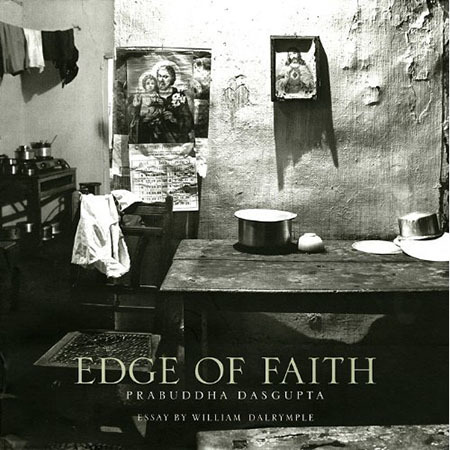 This conflict of cultures is captured by Indian photographer Prabuddha Dasgupta in "Edge of Faith". The book's seventy striking photographs create an intimate portrait of the Catholic community in Goa rarely seen before - a portrait of people torn between their fidelity to a history of Portuguese faith and culture and their post-independence Indian identity. In addition, acclaimed travel writer William Dalrymple provides an accompanying text that explores both the history of Goa's Catholic past and its struggle to deal with its multicultural, multireligious present. "Edge of Faith" captures Catholic Goa in a haunting, but beautiful, impasse - caught in a time warp between comforting nostalgia and a doubt-ridden, insecure future.